Netflix, move over! Streaming Video now on MSB! Home/Product Features/Netflix, move over! Streaming Video now on MSB! We’re unleashing a new feature today! We’ve added the ability to stream certain audio and video types directly from the Download Library. You’ll see a new “Play” button beside the download button that opens the media directly in the browser. Similarly, for images and PDFs, you now have the option to view these in a new browser tab. We rolled out some internal changes to our server infrastructure to improve the overall responsiveness of the website. I know this is vague, but I promise our development team has been hard at work on this. It’s a big project! For schools located in Puerto Rico, it is now listed as both a state and a country in the credit card drop-down lists. If you’re processing online payments, parents should be able to find it more easily. The printed version of the week Calendar now displays a red visual indicator if an event overlaps with the time slot below it. All columns in the Lending Library are now searchable. You can now download a list of items in the Lending Library in Excel (CSV) format. If you’re using the site on a mobile device, pages that show tabular data will no longer go off the side of the screen if there is long text. Somewhere along the line the little green “Texting Allowed” speech bubble that was present on the family contact info pages disappeared. We’ve brought it back! On the Student Details page we’ve combined the Family Email and Family Phone columns into Family Contact. We’ve added a drop-down list to the Family Contact columns on both the Student Details and the Family Accounts pages so that you can easily call/text a family contact from your mobile device. We’ve added the ability to share items in the Lending Library with other teachers in your school (woohoo!). This is great if you have communal items which any teacher might loan out. If you’re lending out items personally, you can still keep track of those private items as well. Items you share with the school can only be edited by yourself (or an admin), but other teachers have the ability to loan them out. We’ve improved the formatting of the Student Attendance report by adding a page-break after each teacher section. Did you know? On the Student Details page, “In-Progress” repertoire is now displayed at the top of the list automatically. 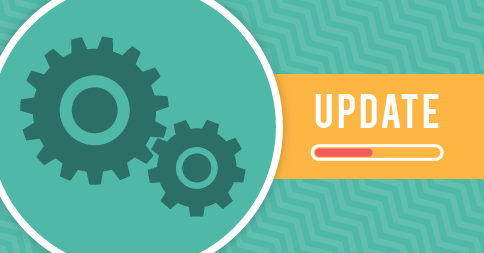 Please note: If you require technical assistance, please contact our support team at support@myschoolbooks.com.